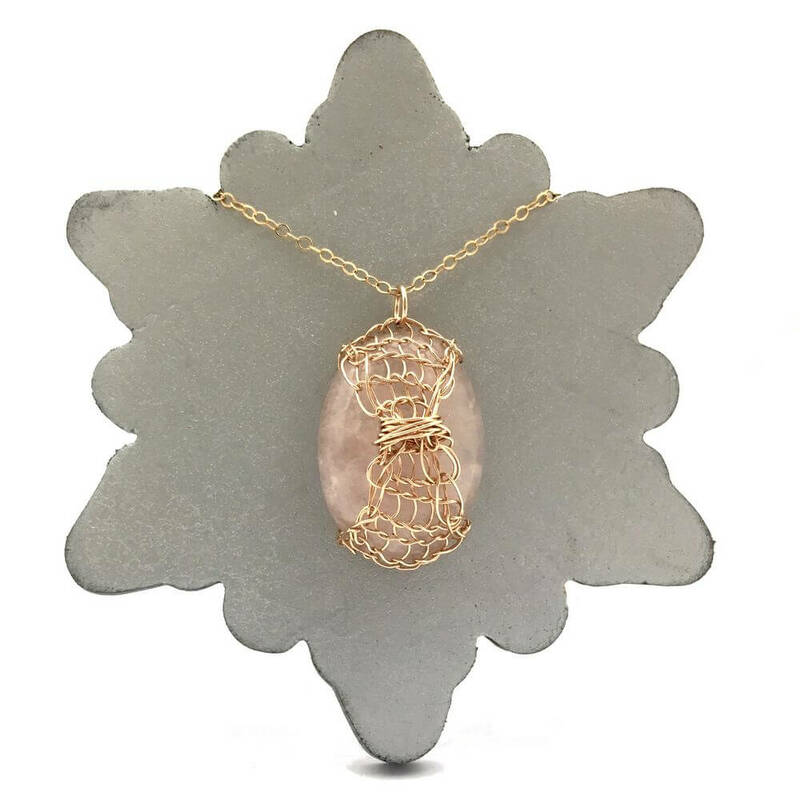 A crocheted wire lattice made from rose gold-filled wire adds a layer of texture and modern design to this rose quartz stone. 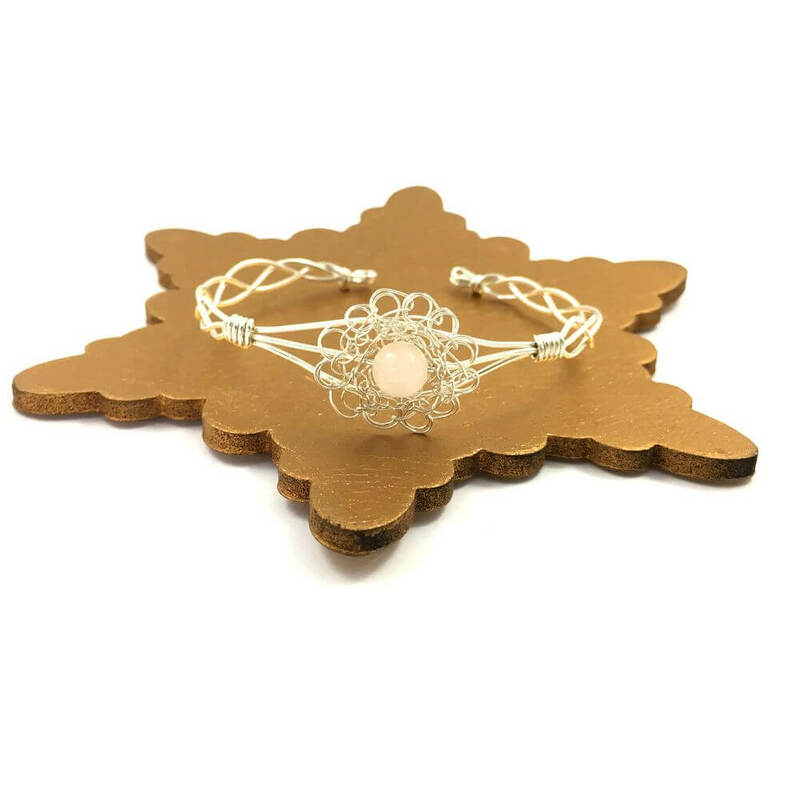 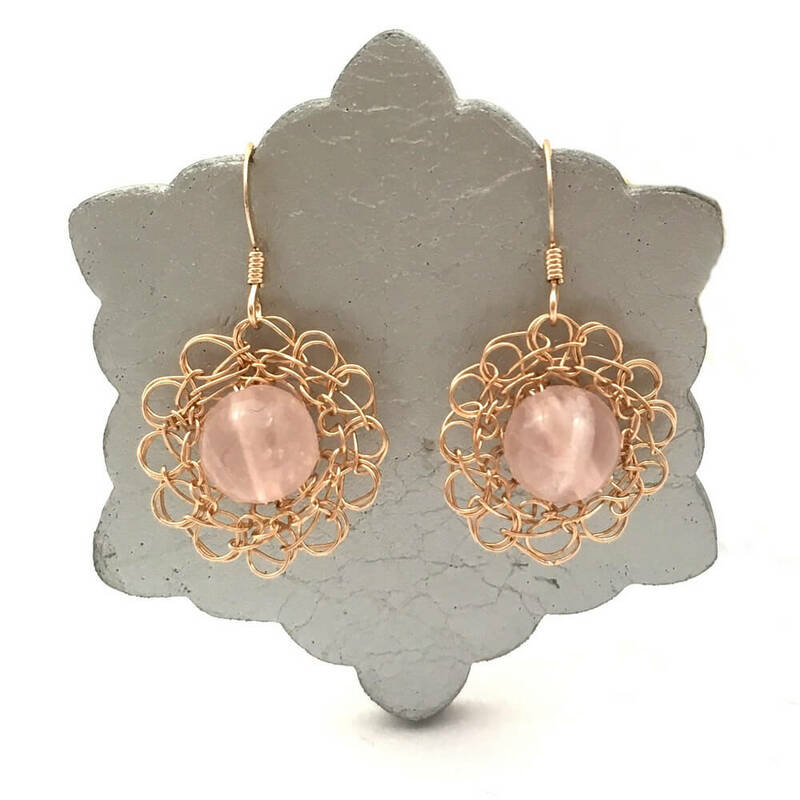 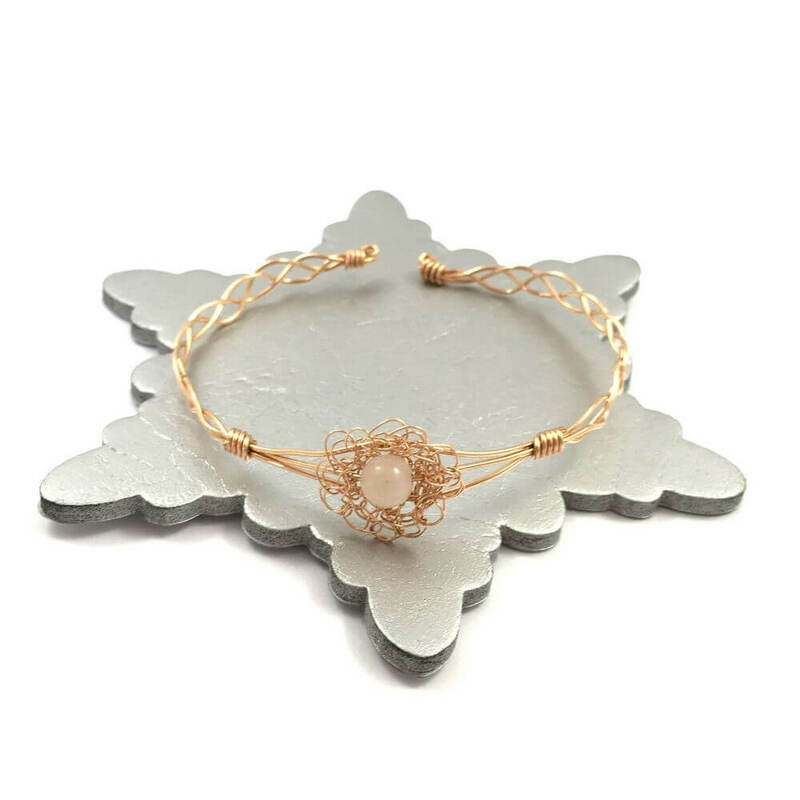 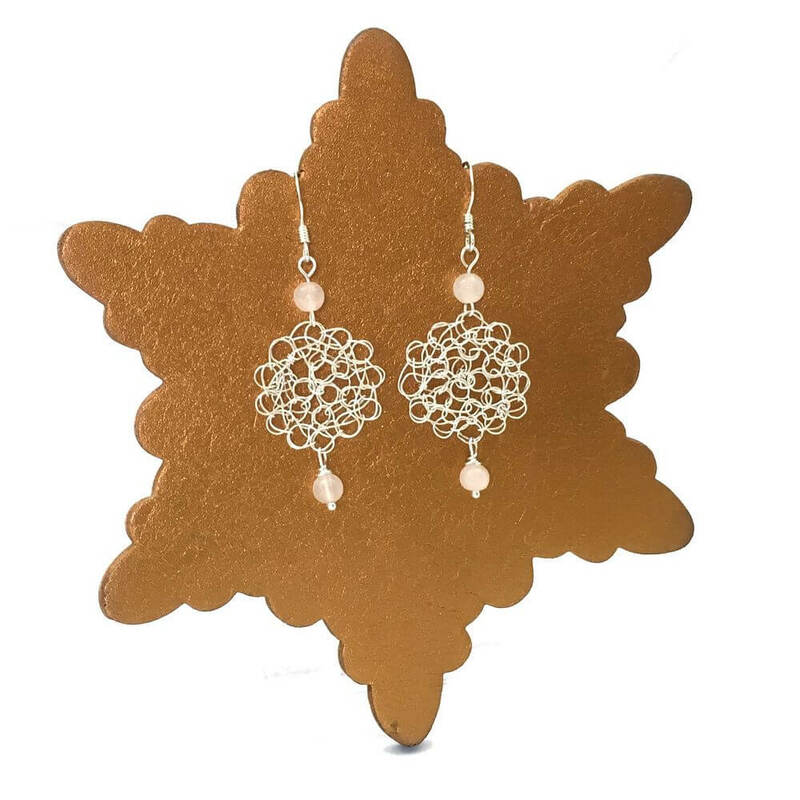 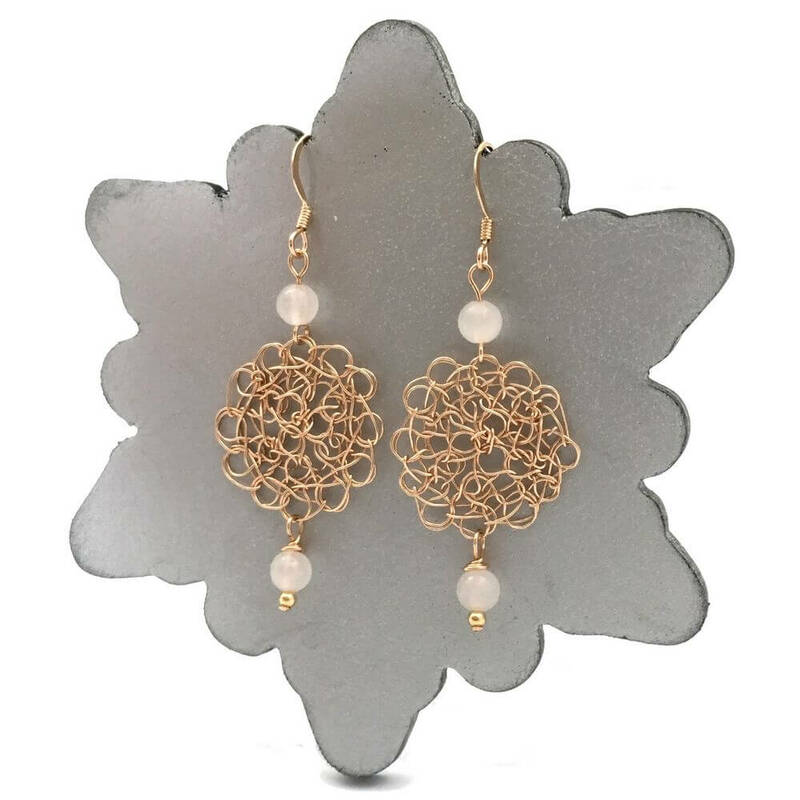 A crocheted wire lattice made from 14 carat rose gold-filled fine wire adds a layer of texture and modern design to this soft pink rose quartz stone. 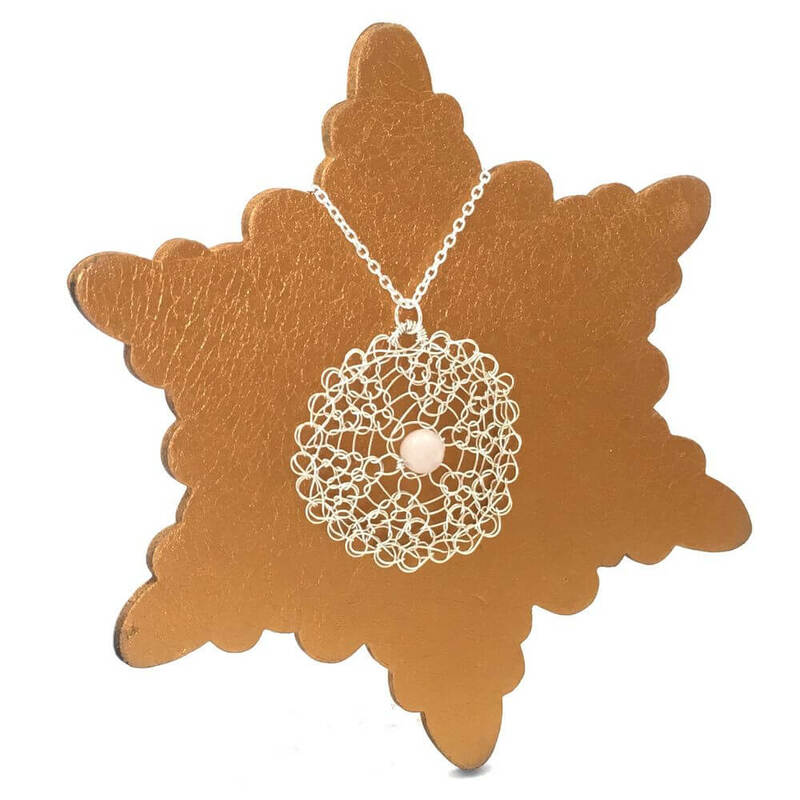 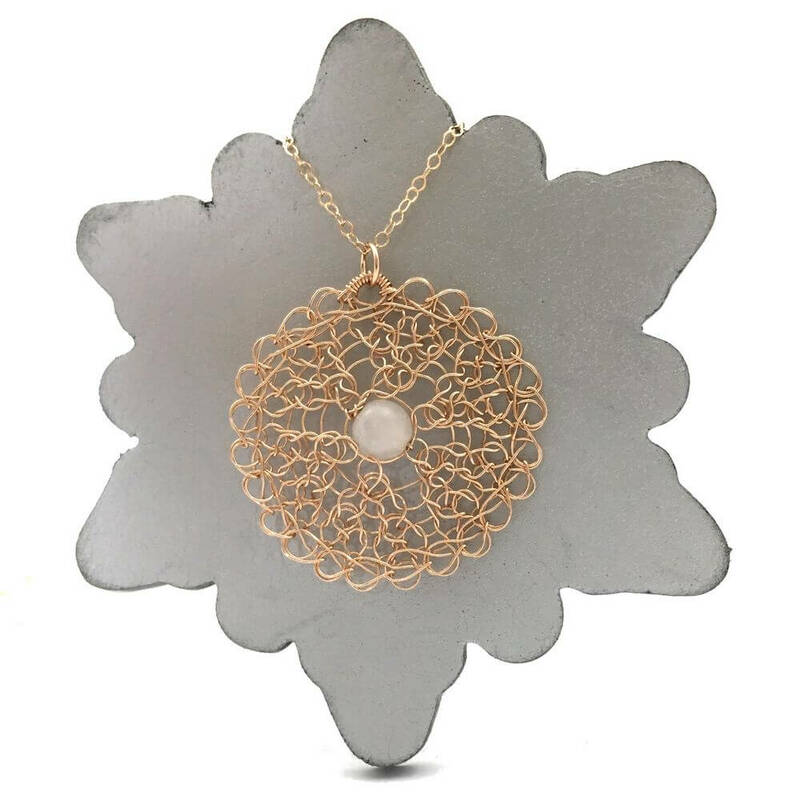 Crafted by hand and hung from a 14 carat rose gold-filled chain measuring 18 inches / 45cm, the Rose Quartz Lattice Necklace is presented in a hand finished gift box and shipped within 3 days of order.